The July 2016 issue of the Fashion Central International is offered for viewing. Every page of the online magazine has an appeal of its own and the online followers of the magazine will feel heartened with the informative content and cheered by the images that are loaded with viewing pleasure. Content summary has been summed up in a way that the viewer can select and categorise priorities and focus on the relevant areas of the magazine.More aspects of the magazine are underlined below. The magazine is spread over 53 pages. Content revolves around, national and international events, celebrity interviews, a section on luxury & Travel. Fashion Central Online Media Group, operate over two dozen online portals which have a global viewership of over 3 million page loads a month, and commands a vibrant social media community of over 1 million followers. Not only that, Fashion Central has Over 100,000 completely opt in Newsletter subscribers and 200,000 million viewers our online video channels. 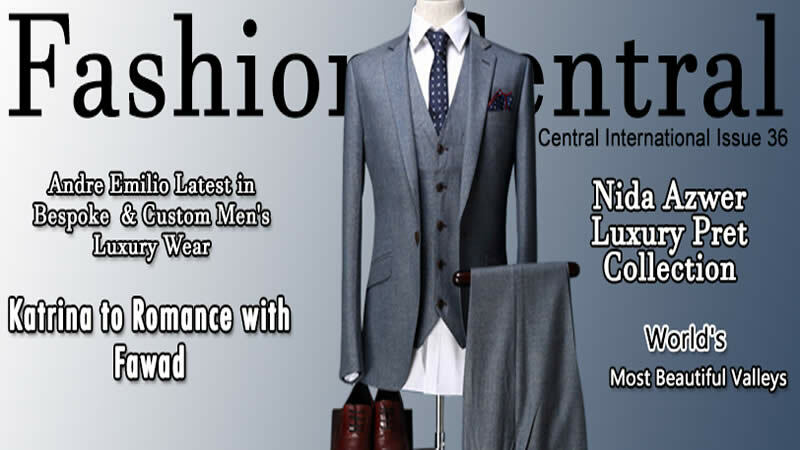 Fashion Central is an e-Magazine of Pakistan, which provides coverage to the events in Pakistani Fashion Industry. To maximize its readership and global viewership, this exclusive online portal is into active publications of international fashion content including trendiest fashion shows, product reviews, celebrity stories and many more. Fashion Central “Online Portal” has the philosophy to bring you what is new and fresh. The content is updated on hourly and regular basis to keep informing its potential and current readers about special features on beauty, health and fitness. Moreover, updates on latest fashion shows event launches and fashion reviews are the dominant features of this e Magazine. Also included on the magazine are segments on luxury, travel and MENZ grooming. Fashion Central was founded in 2007 with an idea to provide a ‘Central Online Portal’ about all fashion related affairs. This magazine has won PASHA ICT Award in 2010. Its eight organized categories of fashion Pakistan, beauty & style, people & parties, living & lifestyle, international fashion, men’s corner, shopping and blog, fashion lovers learn about pure Pakistani fashion traditions and enriched lifestyle.